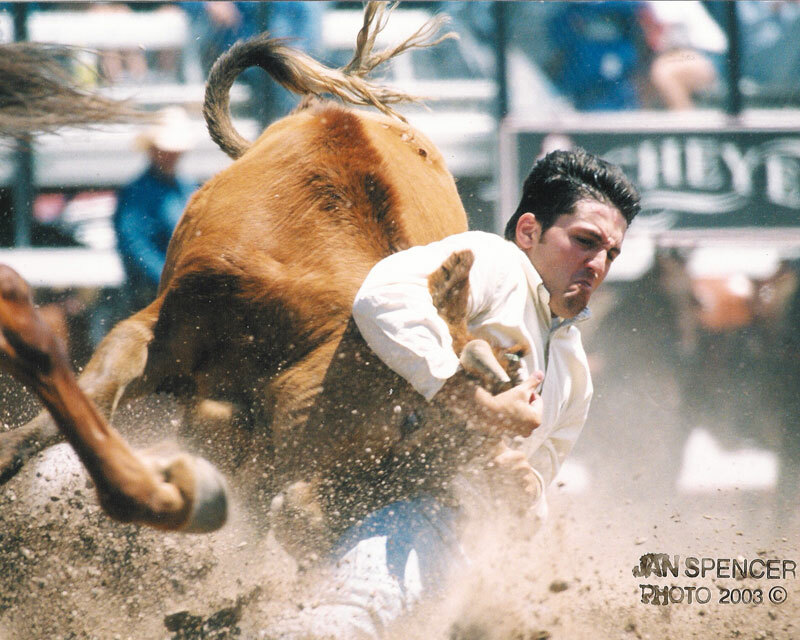 On June 2, 2006 Dino Loukas suffered a Traumatic Brain Injury at a Professional Rodeo Cowboy Association rodeo in Medford WI. 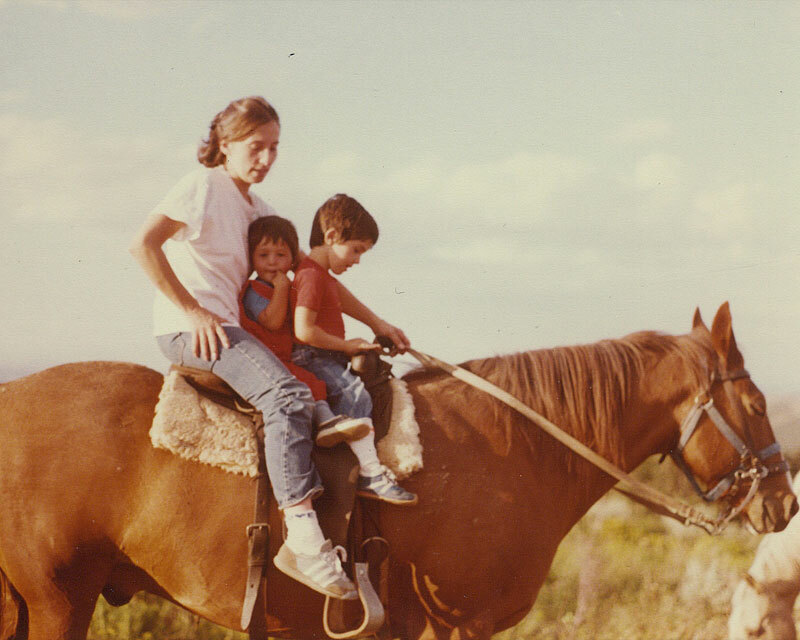 The book “Chicago Cowboy” shares the story of how he learned to ride again. 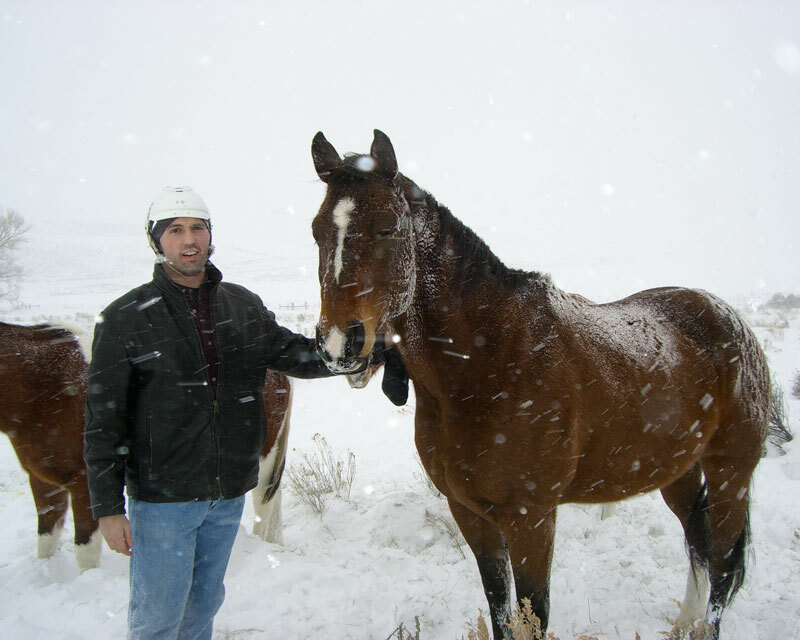 On June 2, 2006 Dino Loukas suffered a severe brain injury at a Professional Rodeo Cowboys Association rodeo when the horse he was riding kicked him in his head during the steer wrestling. As a child, Dino was raised on the north side of the city of Chicago, though his heart was in Craig, Colorado; where his mother’s family raised sheep on a ranch. Dino made sure that his connection to the West was as strong as his roots in the Windy City, as he attended Colorado State University. 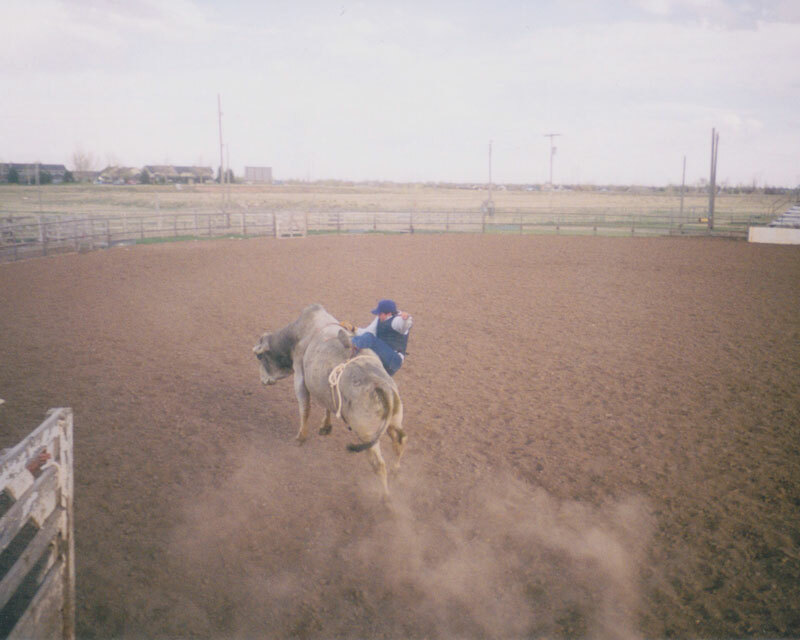 There he had his first introduction to rodeo and steer wrestling. At the age of 19, the "Chicago Cowboy” began his rodeo career competing against cowboys who had the advantage of being exposed to the sport much earlier. 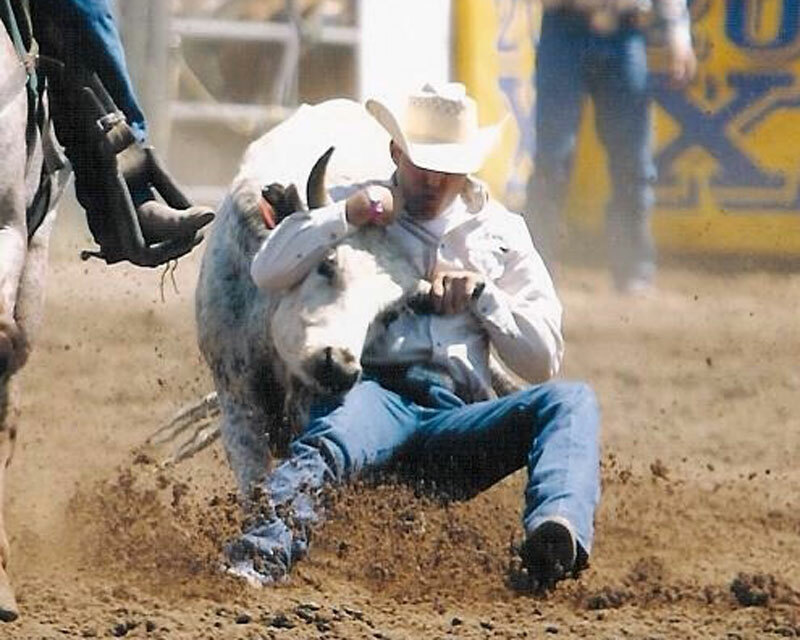 Through hard work, dedication, and discipline, the “Chicago Cowboy” has made steer wrestling a large part of his life. 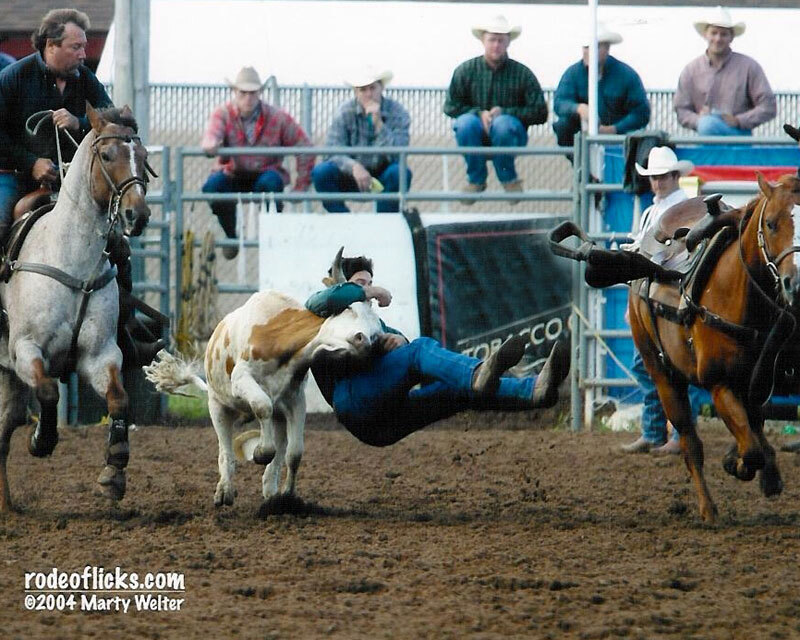 Even now that his participation in the sport has ceased, his passion for rodeo still remains. 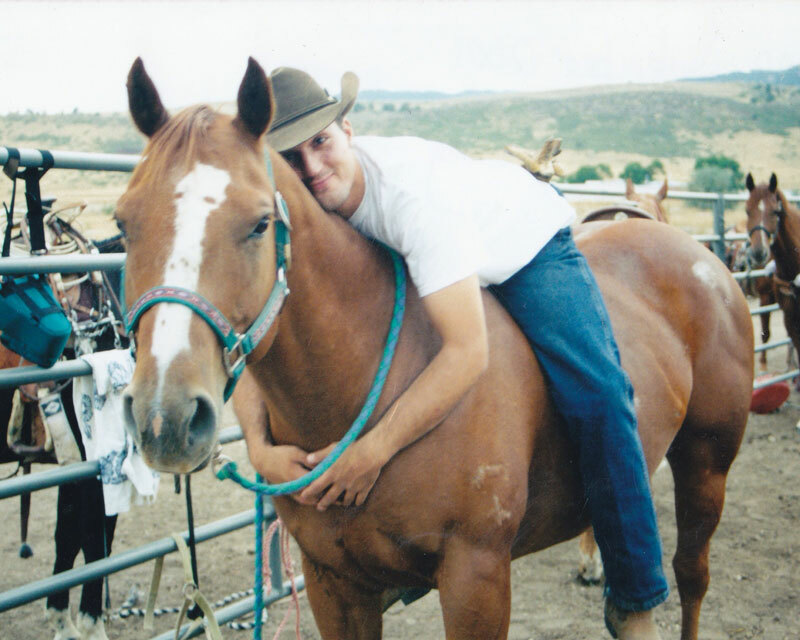 "Chicago Cowboy" is more then just a story of recovery. This is the journey to a new life through brain injury told by the 2005 Great Lakes ProRodeo Circuit Steer Wrestling Champion, Dino Loukas. 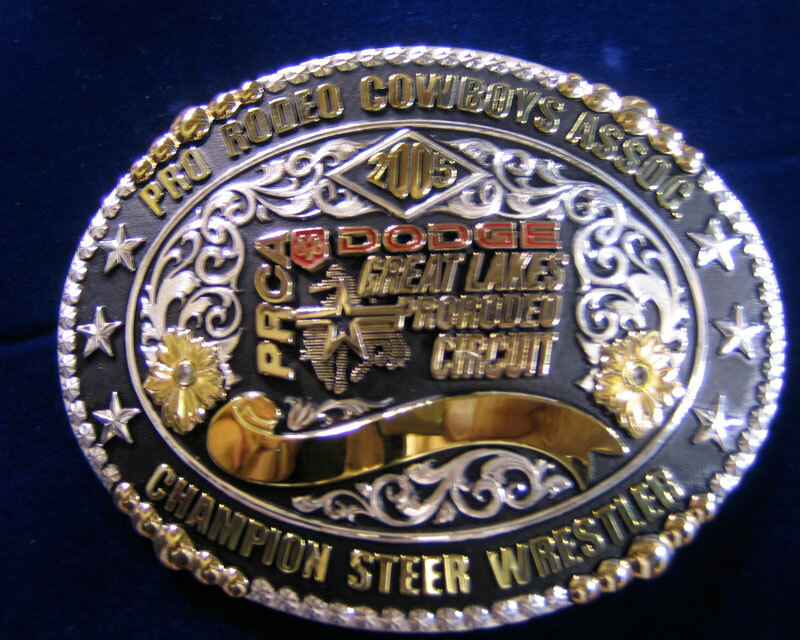 A true story about Dino Loukas who was born from Greek immigrants in the City of Chicago and rose through the rodeo ranks to become a circuit champion. Dino tells his story first hand perspective of a man rose through the rodeo ranks, and then had the life as he know it stripped from him and then worked his way back to conquer new challenges. He tells this story with the hope that all people might be able to find inspiration or source perseverance no matter how big the challenge. He wants to explain the strength of how family and loved ones contributed to the accomplishing his goals. Finally, he hopes to help individuals who have been in accidents and those family members and friends recovering from traumatic injuries a glimpse into the challenges they or their loved ones may face while they recuperate and the hope that comes from discipline, effort, and team work. 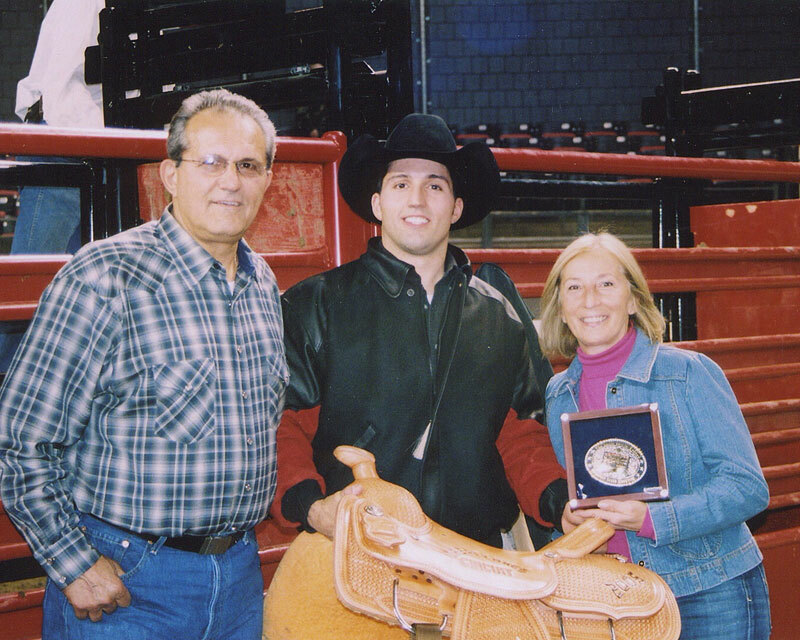 Dino explains his true love of rodeo, the hard work, and dedication he took to achieve professional excellence. With that same attitude and commitent he chroncles his perseverance through impossible prognosis and circumstance. 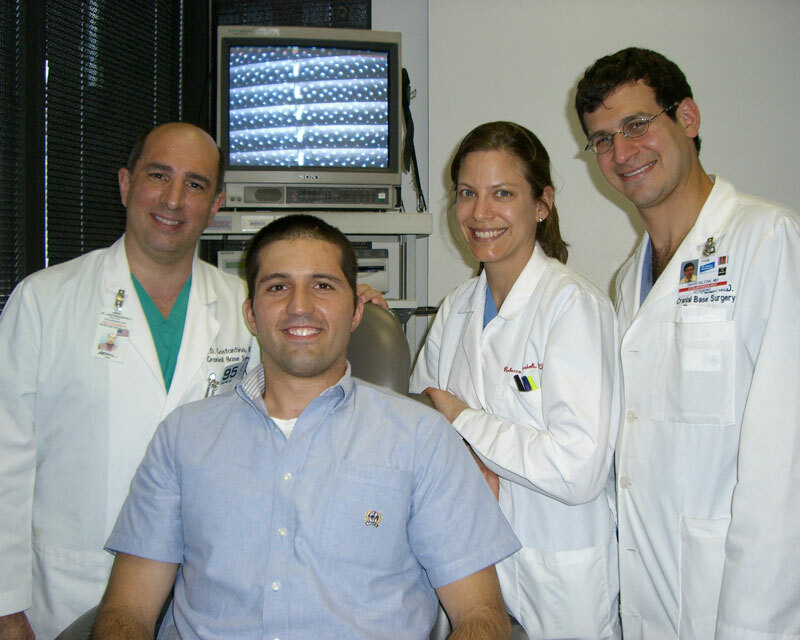 With the tremendous commitment of his family, friends, and doctors, and his personal work ethic Dino produced his outstanding recovery. Dino Loukas smiles easily. And he smiles a lot. And why not? Life is good. There was that June day back in 2006 when life wasn’t good at all, when, in fact, it should have ended for him. 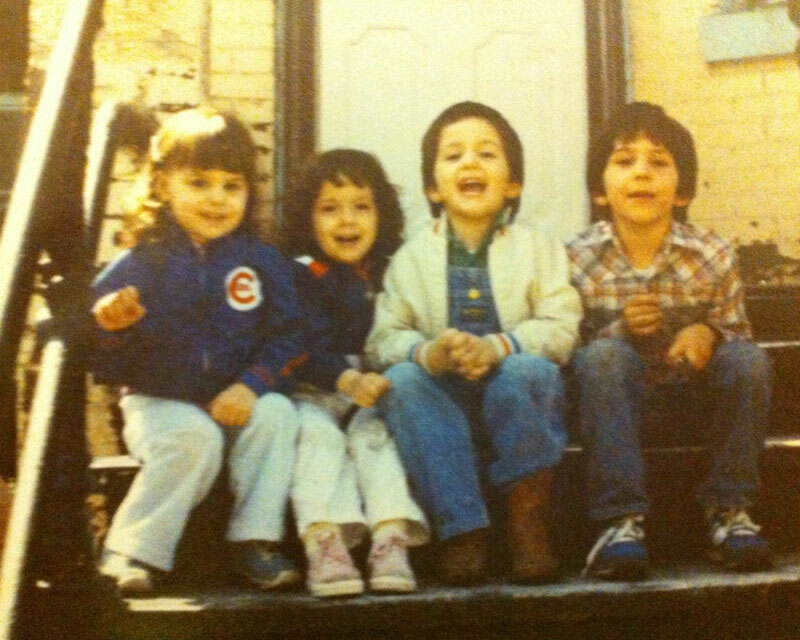 So this — with his dad, Tony, and brother Stithi at the Loukas Development real estate office not far from Wrigley Field — this is gravy. So is his lovely wife, Effie, whom he married in 2013, after years of physical and vocal rehab, and, of course, there’s the baby girl they have coming this fall. Oh, it was close to never happening. So close. 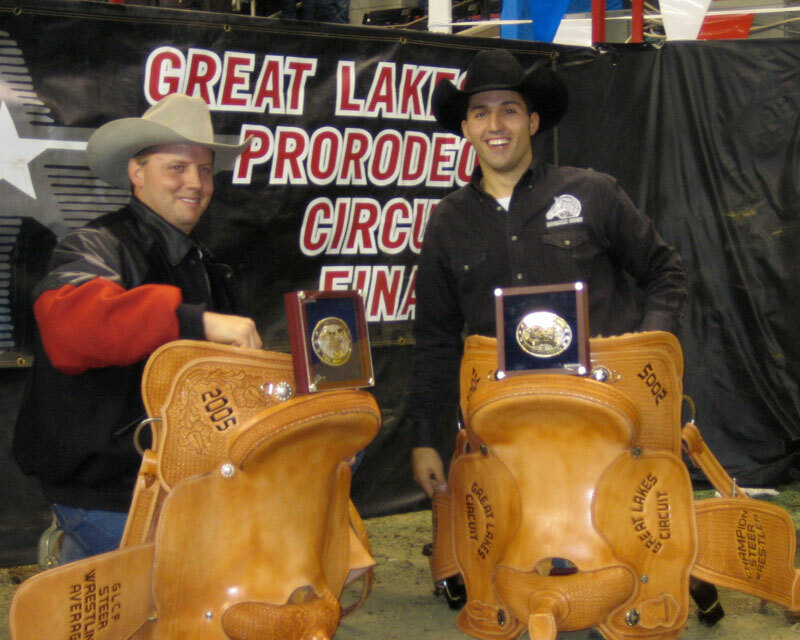 An accomplished rodeo steer wrestler, or ‘‘bulldogger,’’ Loukas, then 27, was in the box at the North Central Rodeo in Medford, Wisconsin, a Professional Rodeo Cowboys Association roundup with $83,000 in prize money. He had on jeans, his favorite black shirt, his black cowboy hat and sturdy cowboy boots. They were not his fancy, go-dancin’ cowboy boots, the ones made of bull leather with blue and white Greek flags stitched on the sides. 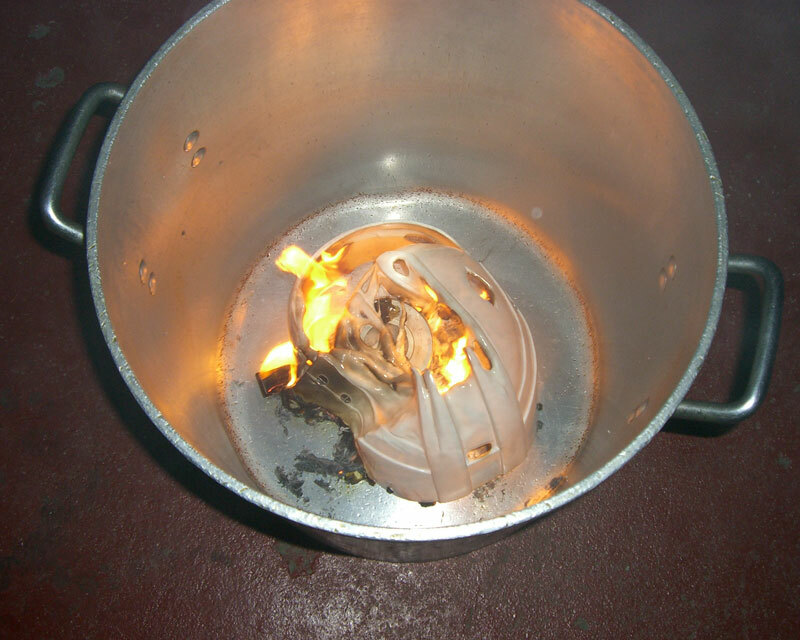 But they were solid. They had to be. To stop the 500-pound steer running beside his horse, Dino would have to grab its horns, twist its neck violently and dig those boots into the dirt and sawdust of the arena floor like skids on a runaway meat truck. He’d done this many times before, winning belt buckles and more than $24,000 in prize money in the last two years. But something didn’t feel right this time. It wasn’t much. It was just that his own horse, Hoss, wasn’t up to the level of pro competition needed, so Dino was using his buddy Noel Strahan’s horse, Charlie. Charlie was fast as a bullet, and speed was of the essence in this event. But Charlie had an attitude. He would sometimes flip over in the box if he was mad, or deliberately break out too soon, ruining a run. ‘‘He had a screw loose,’’ says Dino. And he was antsy this day, as if he wanted to be somewhere else. Like a rocket, the pair shot out of the box as the rope dropped, with Strahan’s brother Adam — the ‘‘hazer,’’ in rodeo lingo — riding another horse on the steer’s right, forcing the steer to run straight. Dino, 6-0 and a muscular 195, dove at the animal’s neck, and as he did, Charlie’s hoof, clad in its iron shoe, kicked him in the head. Loukas tumbled into the dirt, a broken doll. The kick had happened so fast, no one had seen it. But it was devastating, shattering Dino’s skull, sending bone shards into his brain. Noel Strahan, also competing that night, ran out of the stands to his buddy’s side. Strahan stopped the flow with his dirty hands, and then was so angered with what he felt was the casual pace of the paramedics that he ran out of the arena and drove the ambulance into the ring himself. 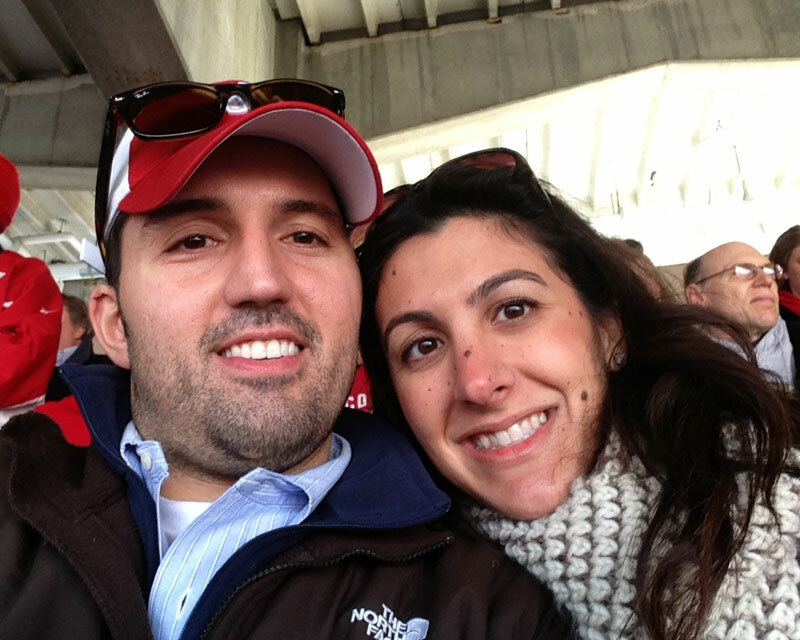 After that, there was the airlift to a trauma center in Marshfield, Wisconsin, and the frenzied calls to the Loukas family back in Chicago. It was likely Dino would not survive, but drive here fast anyway, went the calls. 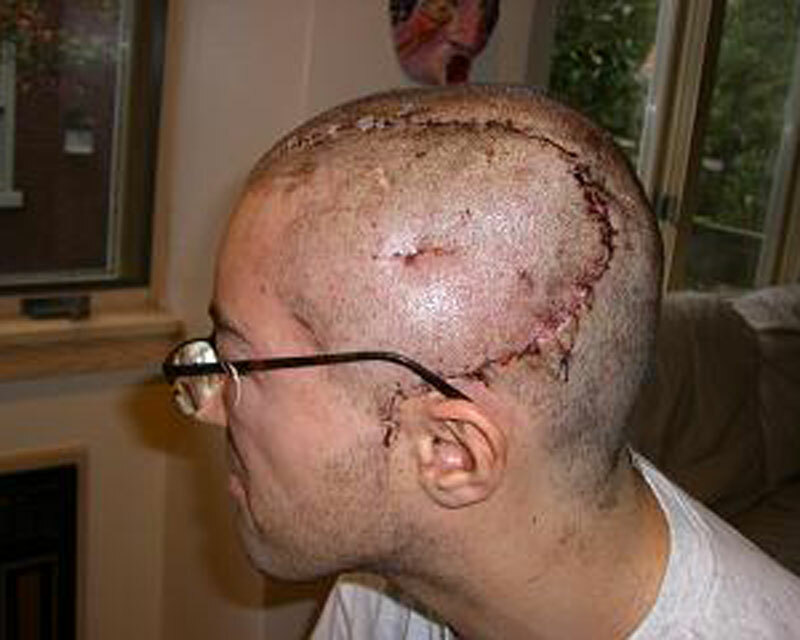 Yet somehow Dino did survive, escaping infection, swelling, seizures and the coma he slipped into for 2½ weeks. 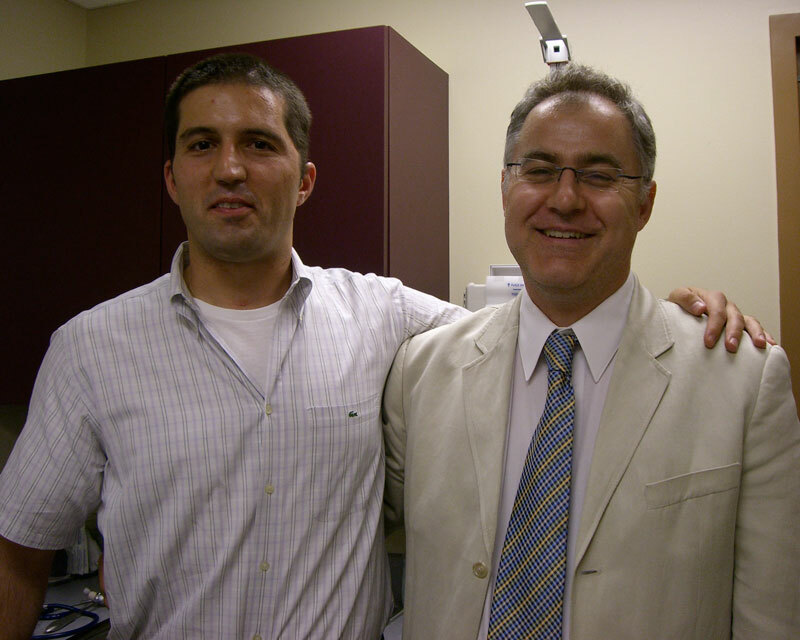 ‘‘They did a great job,’’ says Loukas’ uncle Nicholas Papronas, an esteemed neuroradiologist at the National Institute of Health in Washington. 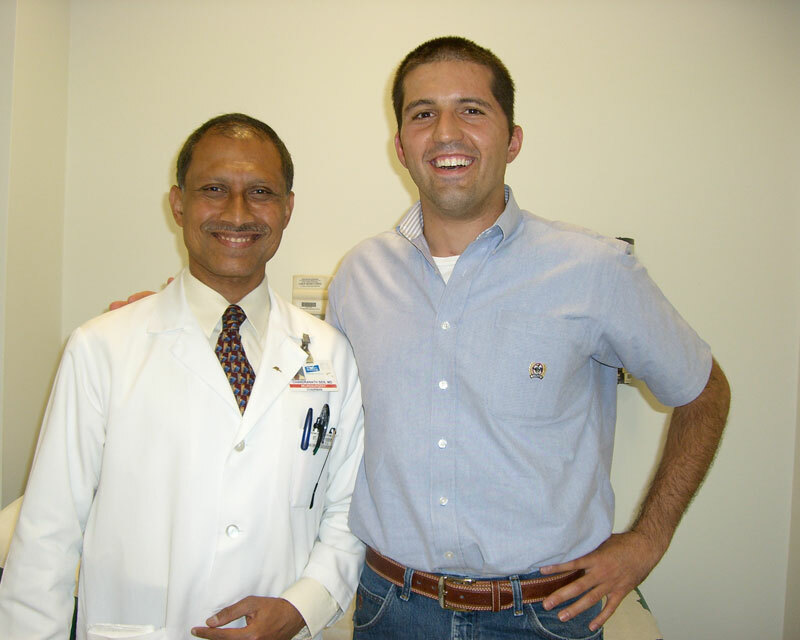 Papronas helped read CT scans and offered advice during the long, long recovery. But Dino, who could not speak a word nor understand much about the world around him, used his bulldog tenacity to push ahead. His beloved mother, Georgia, who would die of breast cancer in August 2009, as Dino was still rehabbing, almost never left his side. 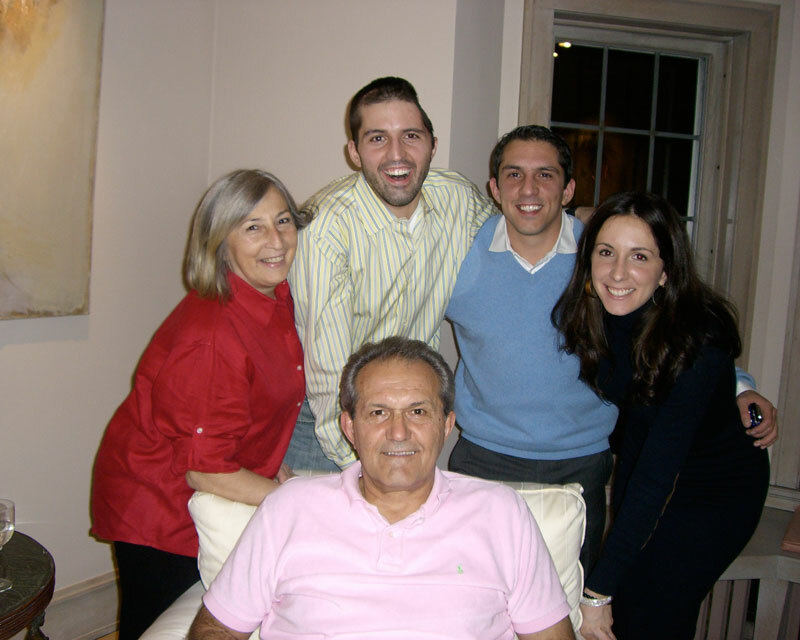 His family is full of athletes — dad Tony and uncles Angelo and George all played D-I college football. Angelo blocked for O.J Simpson with the Buffalo Bills. George’s daughter, Christina, a four-time NCAA All-American, finished eighth in diving at the London Olympics. 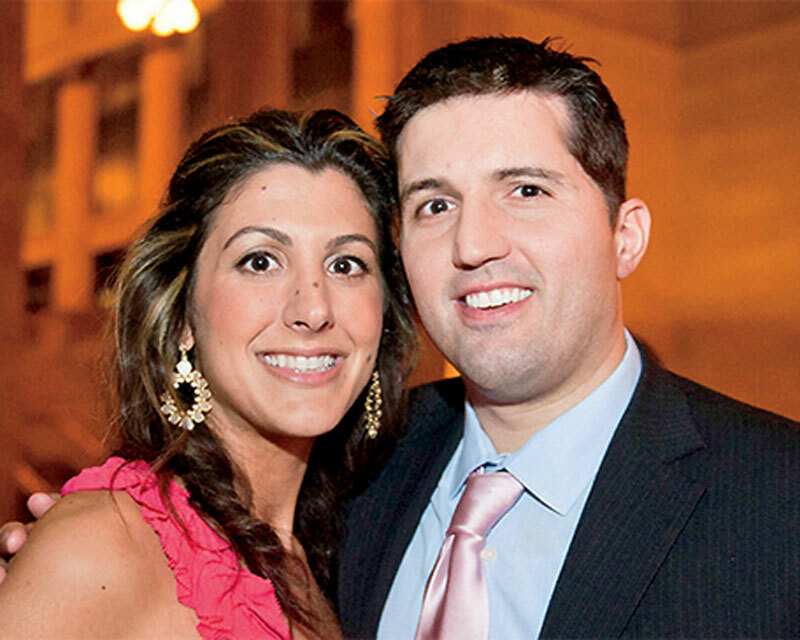 Angelo’s son, Alexander, was an all-state quarterback at Deerfield High and, with a partner, won the 2005 Illinois state doubles tennis championship. He played college football at Stanford. 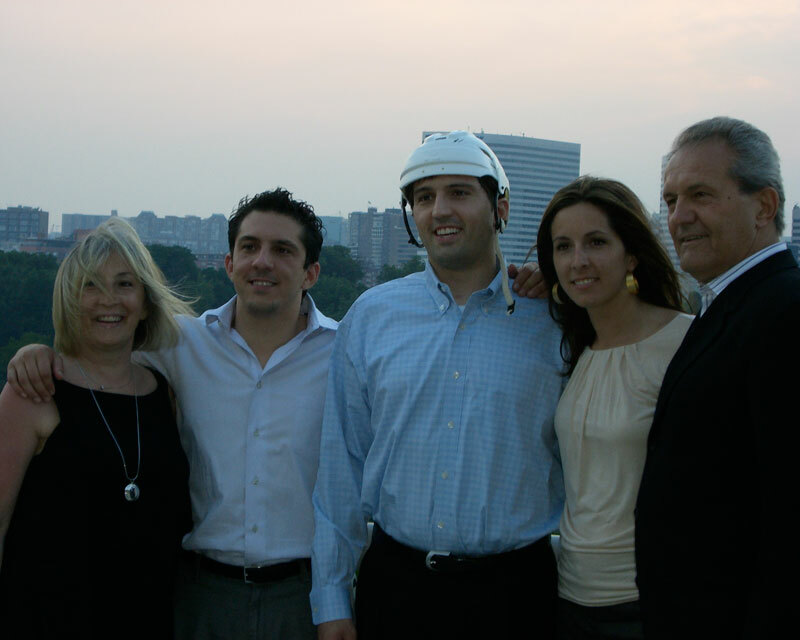 And the Loukas family — still tight-knit — owns or has owned many of the rooftops and bars around Wrigley Field. First-generation immigrants from Greece, they are bound by hard work and pushing through pain. Dino is fine now, intelligence and memory and physical skill unimpaired, though he speaks a little slowly, and there is that huge, hidden titanium plate where his skull once was. He is battered, wiser, mellower than before. 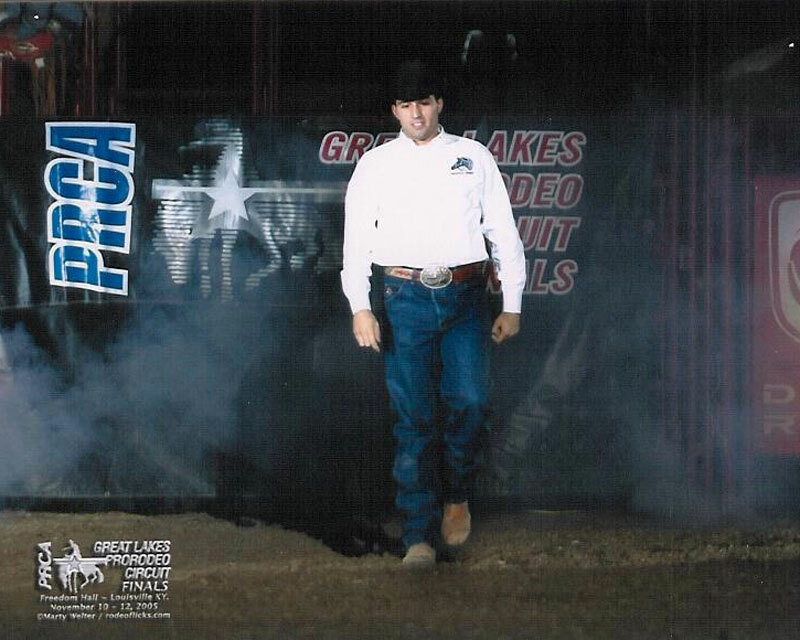 ProRodeo Sports News's special report features Dino Loukas' story of triumphing over traumatic brain injury. CHEYENNE Of all the places you would expect rodeo athletes to call home, several places come to mind. The Windy City? No way. 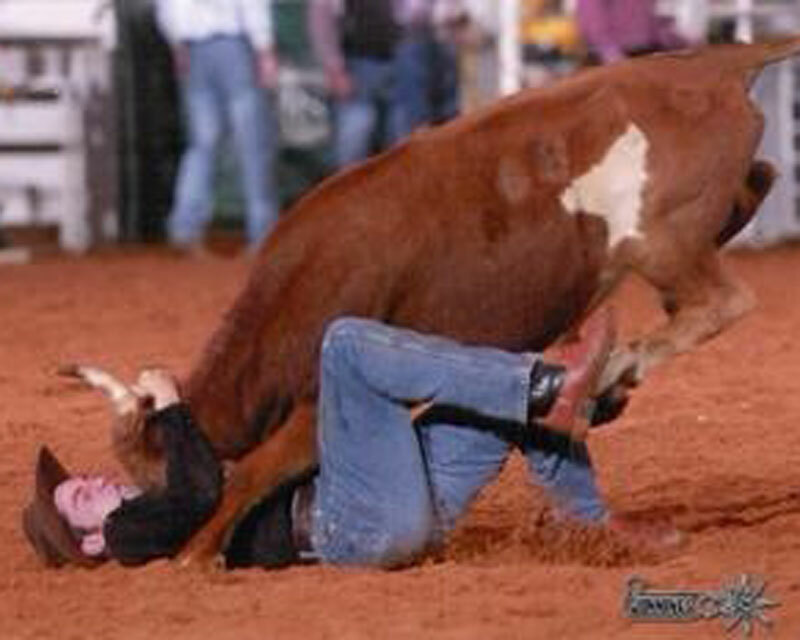 Rookie steer wrestler Dino Loukas was born and raised right there. He grew up less than five blocks from Wrigley Field and helped his grandfather make hotdogs before Cubs games. 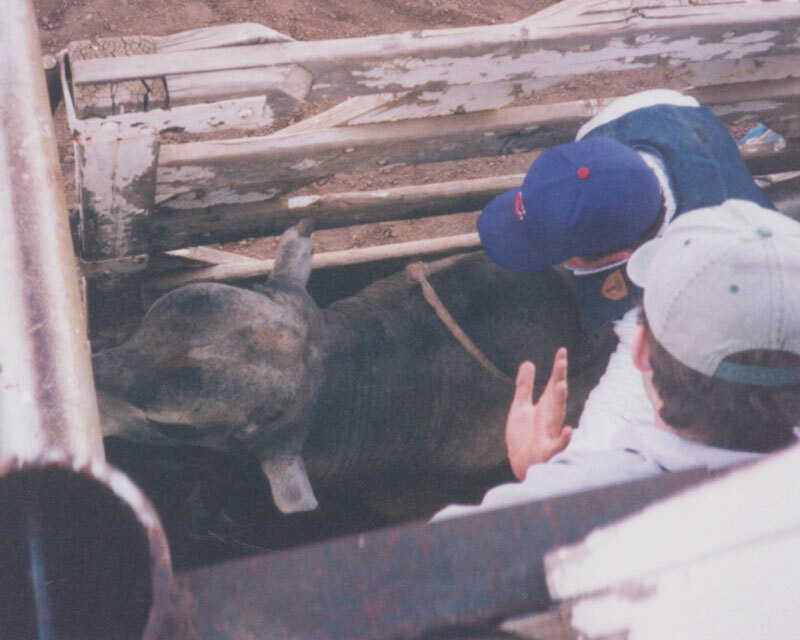 But when Loukas wasn't helping his grandfather in the summers, he spent time on with his other grandparents' cattle and sheep ranch in Craig, Colo.
That's where he became hooked on rodeo. 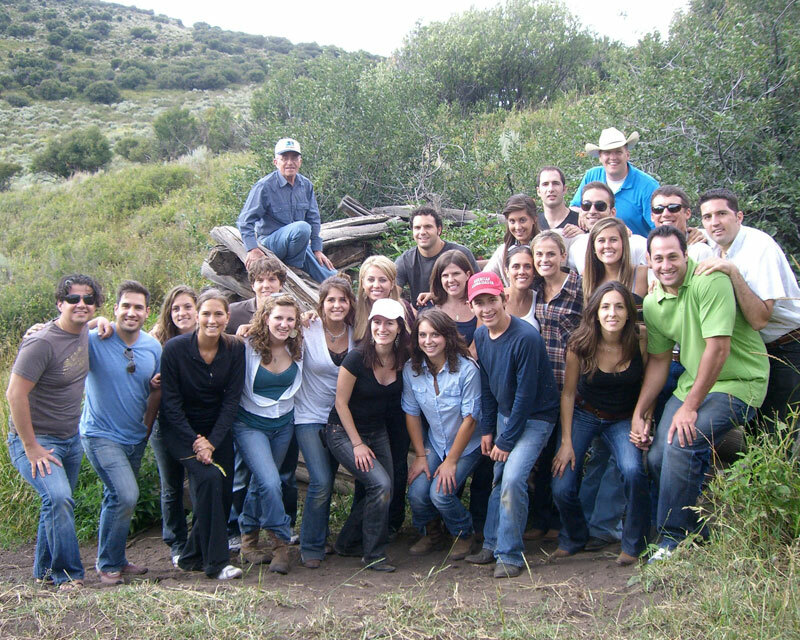 "Half the summer I spent working at Wrigley Field, the other half I spent working on the ranch in Colorado," Loukas said. 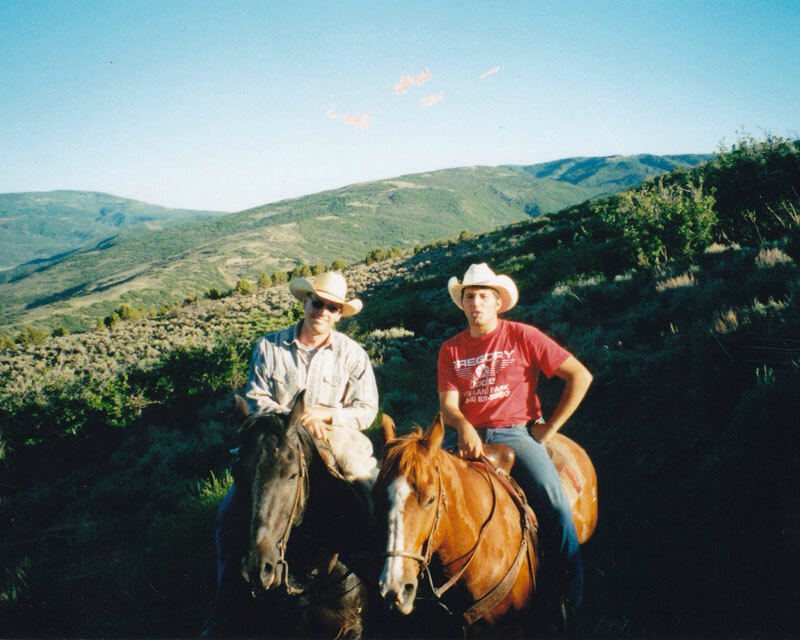 "I went to school at Colorado State University, where I joined the rodeo team and just went from there." Loukas, 24, said he has made about $4,500 this year. Monday was his first run at the Cheyenne Frontier Days Rodeo, but his time of 12.2 seconds won't win him any first go-round money. Still, Loukas said he loves what he does, though he gets some good-natured ribbing from his friends back in Chicago. "They'll ask me where I am at for the weekend, and I'll say somewhere like Yankton, S.D. And they'll say, ?Where the heck is that.'" Loukas said. 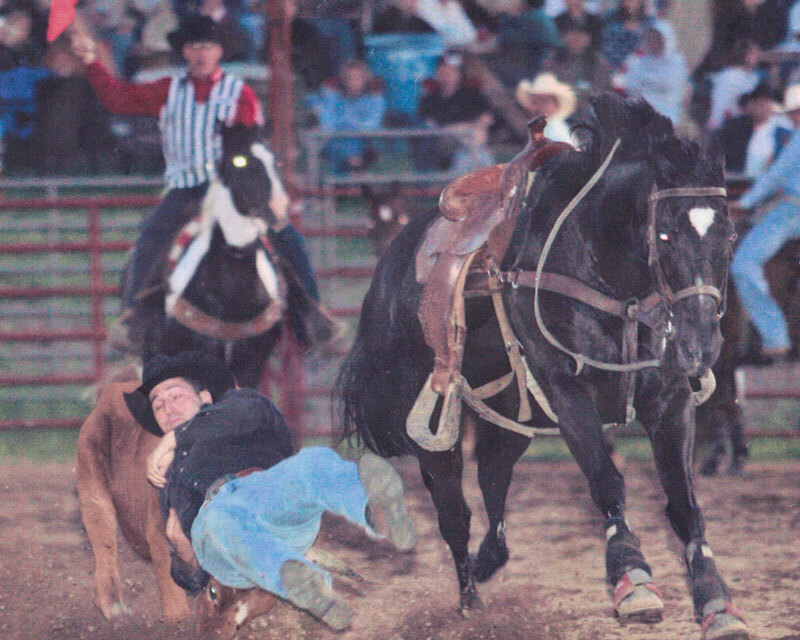 "This rodeo is wild and unlike anything I've done, but it's fun." 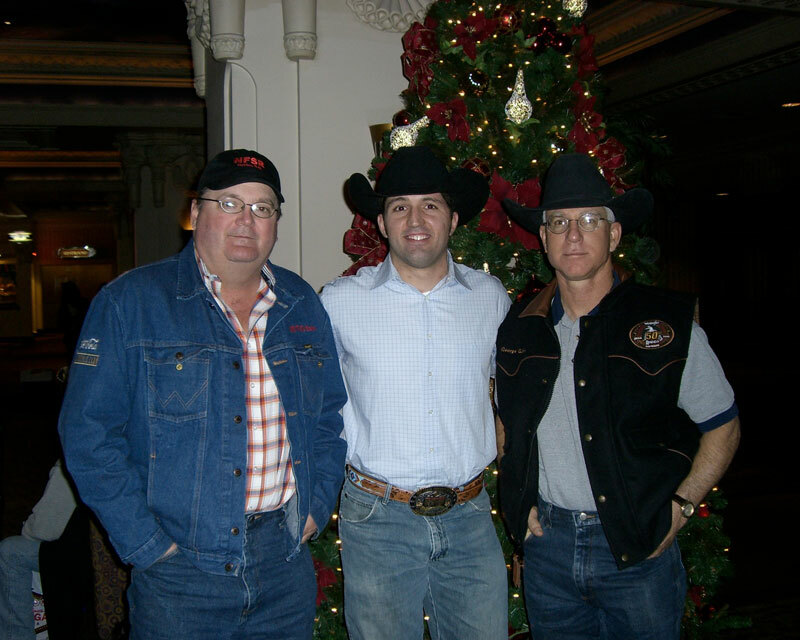 ProRodeo Sports News' report about Dino's recovery from TBI. Keep up to date with Dino on social media. 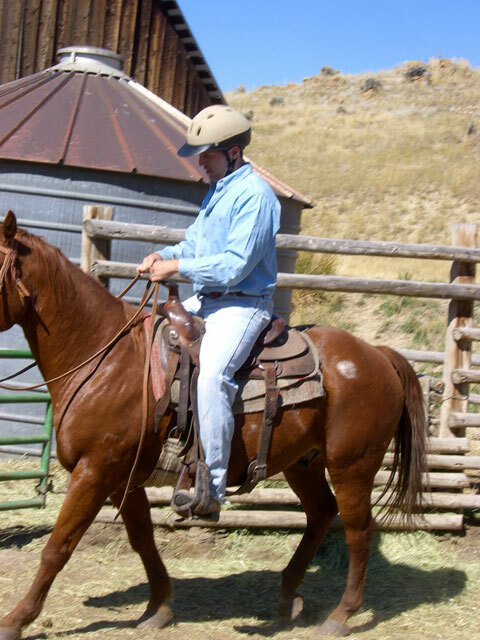 Dino's new book, "Chicago Cowboy, Learning to Ride Again," COMING SOON!